Traffic on the west side of Volker campus looked a bit different on May 23, 2018. 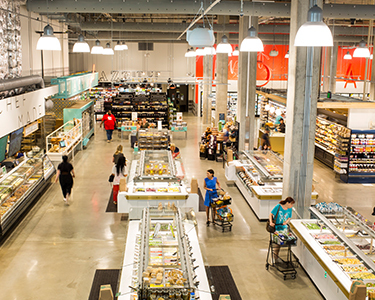 The grand opening of the Whole Foods Market at 51st and Oak marked the end of a nearly three-year construction project along the western edge of campus. The project included a 170-unit luxury apartment complex and a parking garage for both residents and retail shoppers. For UMKC, the project yielded a new Student Services Suite, which now houses UMKC’s Student Health and Wellness, Student Counseling Services and Student Disability Services.